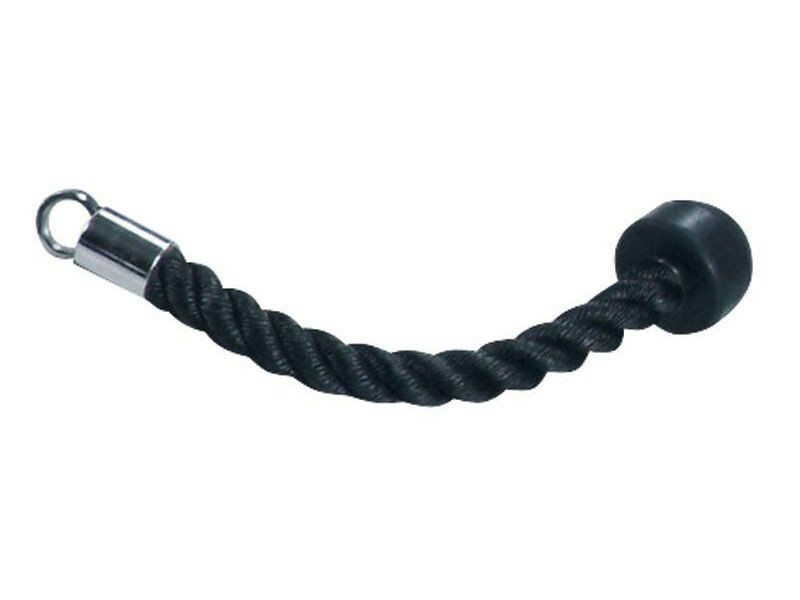 Braided nylon rope with molded rubber stopper. Ropes are a useful tool for working your grip strength at the same time as other muscles. This rope is normally used for doing single-arm tricep pressdowns with a cable machine, but it can also be used for other exercises like hammer curls.